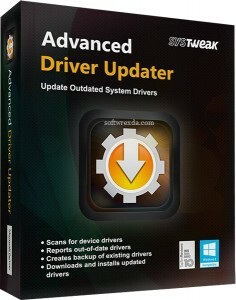 SysTweak Advanced Driver Updater makes scanning and installing the latest drivers a walk in the park! A driver is essentially a software that allows your system to communicate with the hardware installed on it. Without drivers, the hardware devices on the computer cannot work properly. Missing and outdated drivers can result in poor system performance and limited hardware functionality. Your computer will run faster – much faster – if you have the latest drivers installed. Drivers are the software that allow Windows to communicate with your computer’s hardware. Updated display drivers allow you to access all of your screen’s features. Updated audio and graphics drivers let you work with your computer’s high-end music and video features. Advanced Driver Updater finds the latest drivers on the Internet, and installs them on your computer. A few simple clicks and you’re done. Sometimes new drivers don’t work the way they’re supposed to. The Driver Exclusion feature excludes those drivers that may cause system instability due to compatibility issues. On future scans, excluded drivers will not appear in the scan results and will not be updated. Advanced Driver Updater runs under Windows 10/8.1/8/7/Vista/XP. And the software knows that different drivers are required for different versions of the operating system. The software always selects and installs the proper drivers for your computer’s configuration.